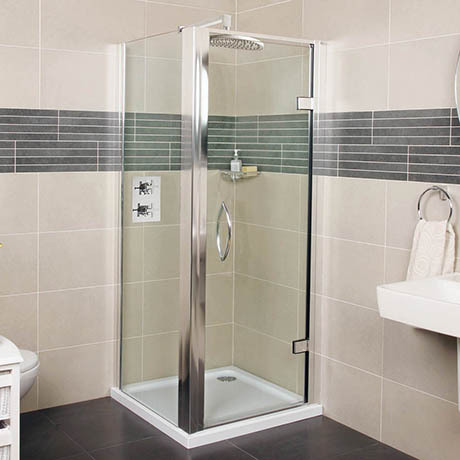 The strong and sturdy design of the Collage Hinged Shower Door makes it ideal for the busy family bathroom. Featuring 8mm thick glass and a deflector to guide water back into the tray and eliminate the potential for leakage under the door. Optional side and inline panels are available for corner installations. For complete peace of mind this door is backed with a manufacturers lifetime guarantee.